WASHINGTON, DC, April 8, 2016 (ENS) – To strengthen tiger protection, the U.S. government has finalized a rule declaring that captive tigers of unknown genetic background or crosses between different subspecies of tigers, known as “generic” tigers, are no longer exempt from permitting requirements under the Endangered Species Act. The U.S. Fish and Wildlife Service rule provides that anyone selling tigers across state lines must first obtain an interstate commerce permit or register under the Captive-bred Wildlife Registration program, regardless of whether the animal is a generic tiger or a pure subspecies. “Removing the loophole that enabled some tigers to be sold for purposes that do not benefit tigers in the wild will strengthen protections for these magnificent creatures and help reduce the trade in tigers that is so detrimental to wild populations,” said Ashe. This rule results in a uniform policy that applies to all tigers and will help Service law enforcement agents enforce the Endangered Species Act, he said. The new rule comes just ahead of the 3rd Asia Ministerial Conference on Tiger Conservation from April 12-14 in New Delhi, India. Once abundant throughout Asia, today tigers number only 3,000-5,000 animals in small fragmented groups. Wild tigers are under severe threat from habitat loss and the demand for tiger parts in traditional Asian medicine. Of the eight original subspecies of tiger, Panthera tigris, three are now extinct. 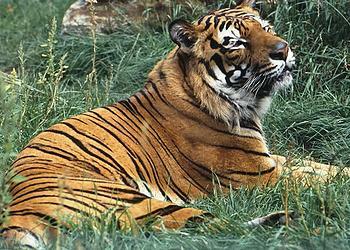 The remaining subspecies include the Bengal, Indo-Chinese, South China, Amur, and Sumatran tigers. Pressures from illegal killing, a shrinking food supply, and habitat loss led to the extinction of the Bali, Javan, and Caspian subspecies, and continue to threaten the survival of the remaining subspecies. As a result, tigers are protected as endangered under the Endangered Species Act and internationally under the Convention on International Trade in Endangered Species, CITES, which bans commercial trade in any species on Appendix I, where the tiger is listed. But tigers readily breed in captivity, and the number of captive tigers in the United States alone likely exceeds the numbers found in the wild, said Ashe, although the exact number is currently unknown. While this new rule does not prevent individuals from owning generic tigers, extending the permitting or registration requirement to all tigers strengthens the Service’s efforts in addressing the illegal wildlife trade, both domestically and internationally. The final rule was published in the Federal Register on April 6, 2016, and will go into effect 30 days after publication on May 6, 2016. The Service is working with multiple partners to conserve tiger populations, support groups fighting tiger poaching, establish nature reserves, manage human-wildlife conflict and raise public awareness. In 2015, the Service awarded funding to 24 projects benefiting tiger conservation in 10 countries totaling more than $1.2 million, which was matched by $993,330 in additional leveraged funds.